Some 10 years ago I hit the radio airwaves on a Sunday night special at WARL 1320 AM, (LATE AM) filled with local talent, and during that three years-plus, also hit another station as Uncle J (for jazz), at WAKX 102.7 FM (both stations now kaput) every day during the busy afternoon run. That was a broad-based Jazz show spiced with many local area performers and creatives and it was all just to satisfy myself as to what Rhode Island really had to hear from itself. During that time, I opened the floodgates to many wannabes, unknowns, long-time musos and all flavors of things entertaining. If you sent me a CD, I played it or part of it on the air! It was a near musical “Gong Show” at times, but it was fun while it lasted and I made lots of friends doing it. There were many truly talented and accomplished people who shared themselves and their craft. 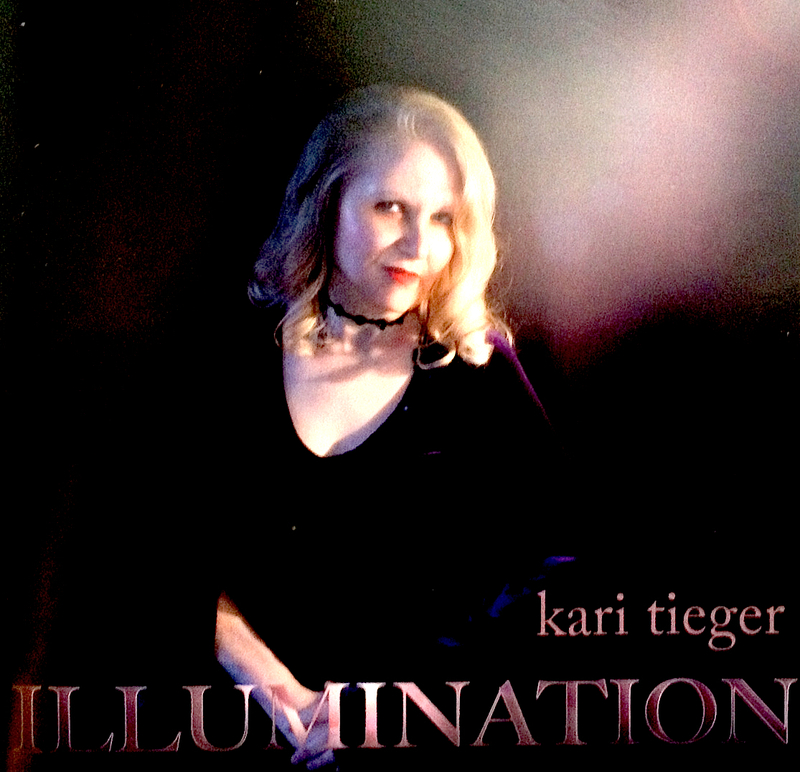 In that time, there was no one more talented and unpretentious and truly gracious as the amazing singer/songwriter Kari Tieger. She is lovely, talented (I’ve said it again) and has a vocal ability to echo across the universe. She was delightful as a guest on my show and we also had the pleasure of other musical undertakings that we both contributed to in the aftermath. It was a pleasure for me and I had a chance to develop a respect for Tieger’s admirable musical ability and depth. She is amazing (I’ve said it again). Recently, we tripped over each other in a parking lot and during a short chat I absconded a copy of her newest musical endeavor, her new CD Illumination before giving her a quick introduction to my wife, Dani, and a customary Papa Angelo bear hug. Then off we went with the goods in hand to test fly it in my Fiat dashboard for the afternoon … a great flight indeed and soaring at high altitude. At the risk of sounding infatuated, Madam Tieger’ s recent work is sparkling. It echoes her classical training in music, her sensitivity to the media, and her comfort with her Langue Francaise qui est tres magnifique featured on two special works: “L’ Amour” and “Tout De Meme,” and both dedications ring true. To say that Tieger’ s talent is immense is quite real and the breadth of reference in melodies spans hundreds of years, from ancient Ladino and Celtic origins, married to a near pop-jazz expressionism. It is theater at its best while easy on the operetta, if you will. Her voice is in the same league as a Joni Mitchell or Judy Collins, but it breathes easily and is alive in the here and now. There is nothing stuffy in Kari Tieger’ s style or delivery. Ms. Tieger shines with a radiant glow in Illumination. From the stunning cover (Natalie Diaz) through all 15 entries, this album has a range of contributing local talent that renders pristine and sublime with monumental quality. Folks like Paul Gabriel, Lindsay Adler, Sarah Bartell (and a small army of others) along with Kari Tieger herself. In this age of new techno-do-it-yourselfism where musicians often hand out homemade CD copies as business cards, this is a serious production and will be the envy of any studio anywhere as a hip-eclectic and very evolved form of cross-genre chamber music for the many… a gem indeed: Bravo!! All tracks are available on iTunes. 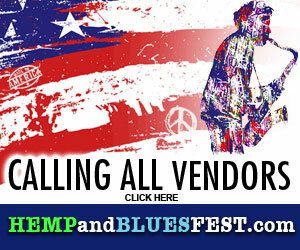 For more info visit: www.karitieger.com or TIGER SOUND BOX 154513, Riverside, RI 02915.